U.S. Hostage Held by Islamic State Confirmed Dead, Had Aided Refugees in Syria, Palestine & India | Democracy Now! 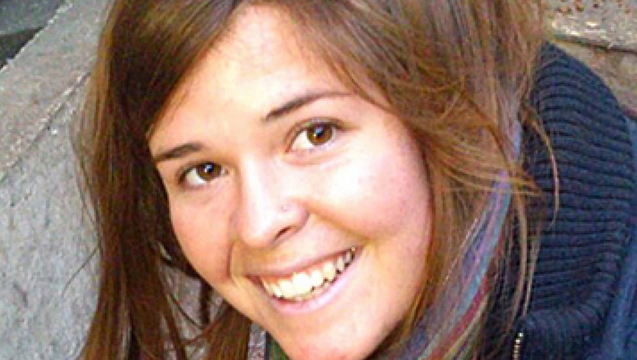 Update: The White House and the family of Kayla Mueller have confirmed her death. The Islamic State is claiming a kidnapped U.S. aid worker has died in a Jordanian airstrike in northern Syria. The New York Times reports the woman, Kayla Mueller, 26, was the only known remaining American hostage held by the Islamic State. She disappeared in August 2013, but her kidnapping was not publicly revealed until today. The U.S. government has not yet confirmed Mueller’s death. According to the Washington Post, Mueller moved to the Turkish-Syrian border in late 2012. She worked with the groups Support to Life and Spanish Doctors Without Borders. Mueller graduated from Northern Arizona University in 2009. 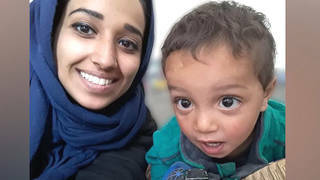 Prior to traveling to Syria, she worked with refugees overseas including Tibetan refugees in India, African refugees in Israel, and Palestinian refugees in the Occupied Territories. In India, Mueller worked as an editor and writer for “Lobsang Rabsel,” a community magazine based in Dharamsala, India, that covers the Tibetan refugee community. “The magazine’s goal is to bridge the gap between the East and West and shed light on the Tibetan refugee situation,” Mueller wrote in 2010. In May 2013, Mueller returned from Syria to see her family in Arizona. During a speech at the Prescott Kiwanis Club, she talked about the crisis in Syria. “Kayla has spent her adult life traveling the world and helping those in need. After graduating from college, she spent more than one year living and working with humanitarian aid groups in northern India, Israel and Palestine. She returned home to Arizona in 2011, and worked for one year at an HIV/AIDS clinic while volunteering at a women’s shelter at night. In December 2011, she traveled to France to be an au pair so she could learn French in preparation for work in Africa.